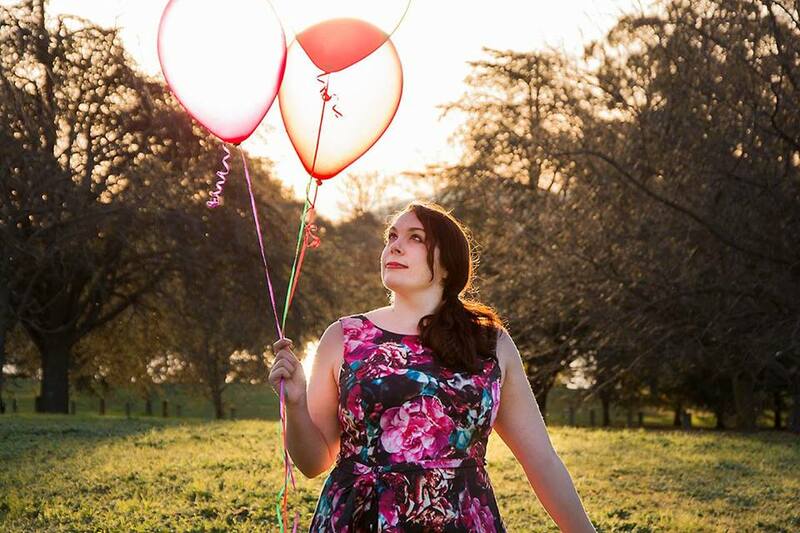 Beautiful Rustic Wedding With A Water Colour Pop! As you already know I had the fantastic honour of being a bridesmaid in a wedding for one of my oldest friends Nicole over the Australia Day weekend. Now while I personally didn’t design this wedding for Nicole, my fiancee and I (my partner in crime also being in the groom’s party) helped Nicole and her groom Jarred set up the wedding decorations with the other members of the bridal party . Many of Nicole’s plans were kept under wraps for the majority of the wedding planning, and the mystery certainly paid off because on the day the sheer beauty of it certainly wowed the guests! 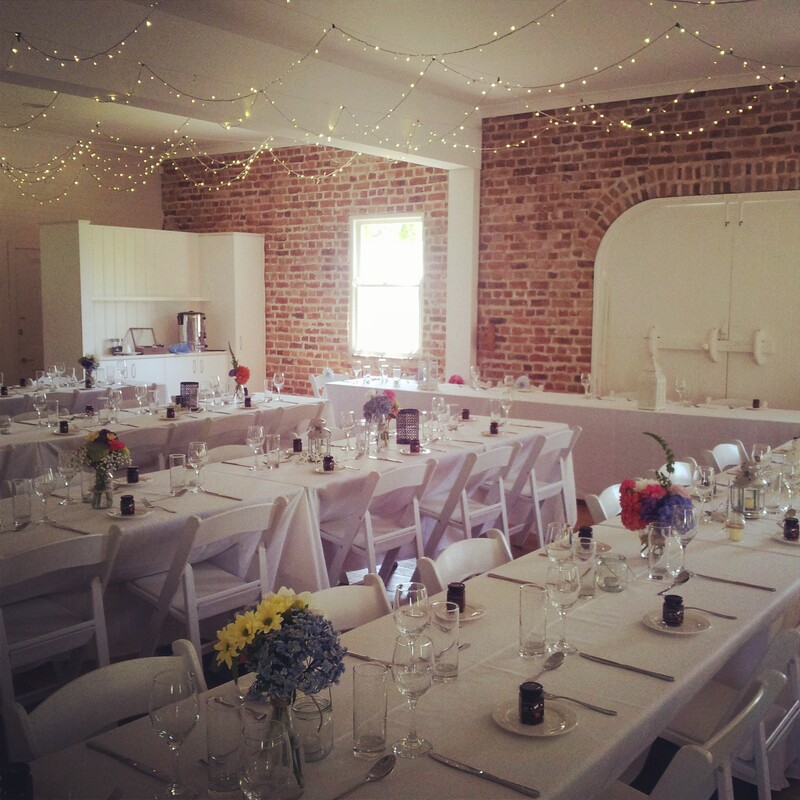 The wedding took place at a rustic style berry farm, complete with little cottage to get ready in and bricked up barn for the reception. The ultimate style of the berry farm and barn had a beautiful vintage nature to it, with white washed barn doors, weeping willow trees and thousands of berry bushes just behind the cottage! 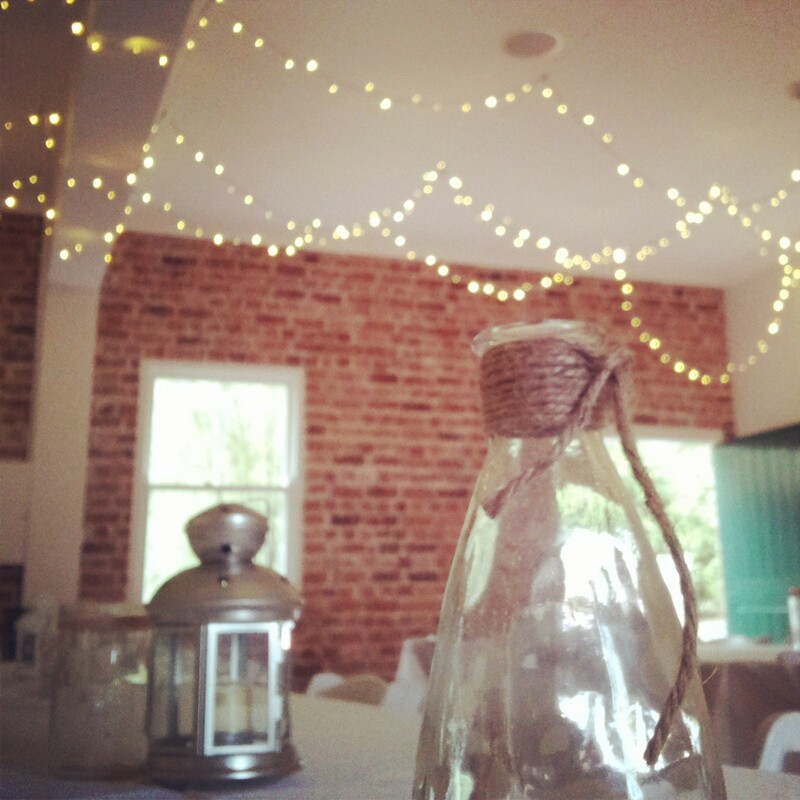 It was a perfect setting for a classic wedding and the added watercolour touches made a real pop against the brickwork and white washed venue. The watercolour features were utilised not only in the homemade flower centrepieces, but the wedding cake had a splash of mint green swirled in it’s icing and the invitations all reflected the burst of watercolour against a classic rustic design. Thousands of strings of fairy lights lit up the roof and created a romantic atmosphere that enveloped guests into the beautiful relationship we had all come to celebrate. 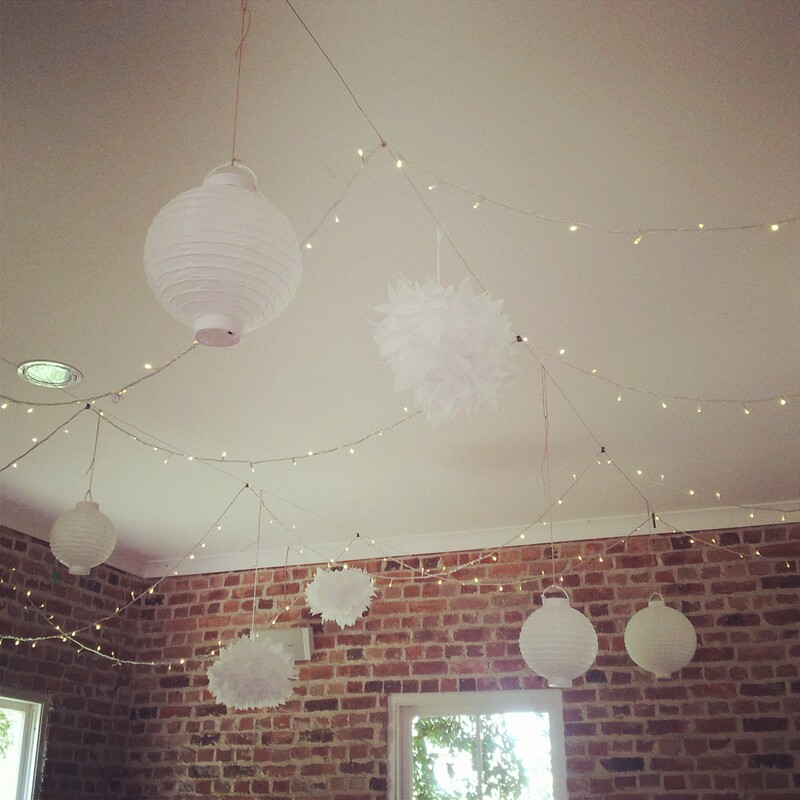 White paper ball lanterns and white pom pom decorations were hung up amongst the fairy lights above the dance floor and area where the band played, making a beautiful decorated area guarded by symbolic clouds and stars! A series of glass jars holding tea light candles and jars of random coloured flowers in jam jars covered the white linen covered tables. Scattered amongst the flowers and tea lights was a random selection of lanterns and camping jars to add to the classic vintage look. Brown bakers twine was a huge feature, wrapped around all of the lanterns and jars, as well as attached to photo frames and chalkboard signs. It kept the vintage feel alive amongst the burst of colourful flowers. 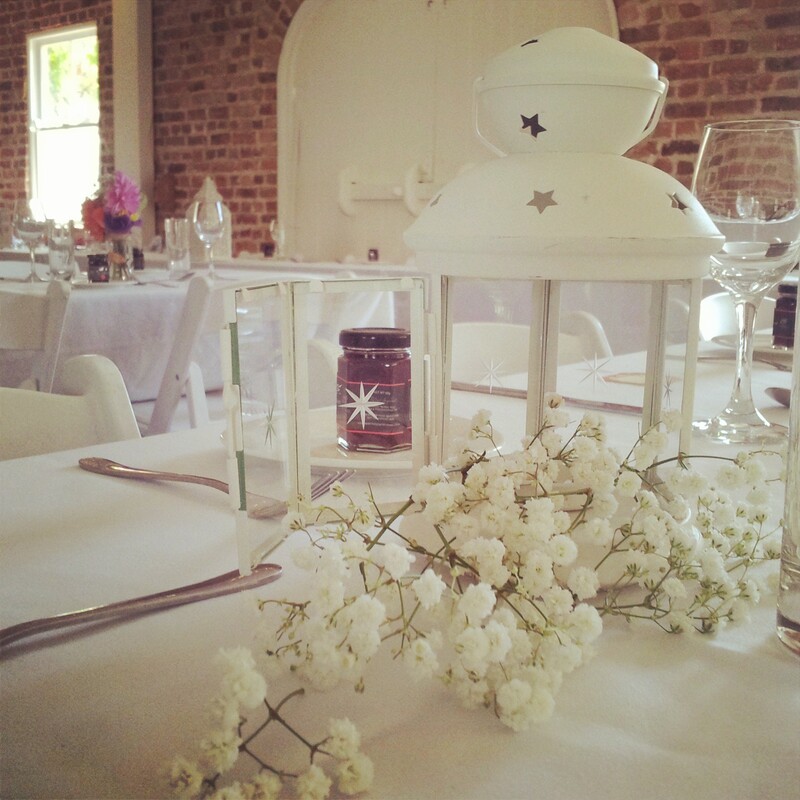 A running joke amongst us bridesmaids who had a hand in making the flowery centrepieces was that you could never have too much of the flower Baby’s Breath – because that’s of course what we had too much of! Nicole’s idea was to mix the extra Baby’s Breath amongst lanterns on the tables that didn’t have any tea light candles in it, spilling out of the lantern’s open doors create a romantic overgrown look. It was a beautiful and simple idea that made a romantic notion of all the extra flowers we had! Last, but not least, was the simple but beautiful table that held the funky style guest book and pastel coloured birdcage wishing well. 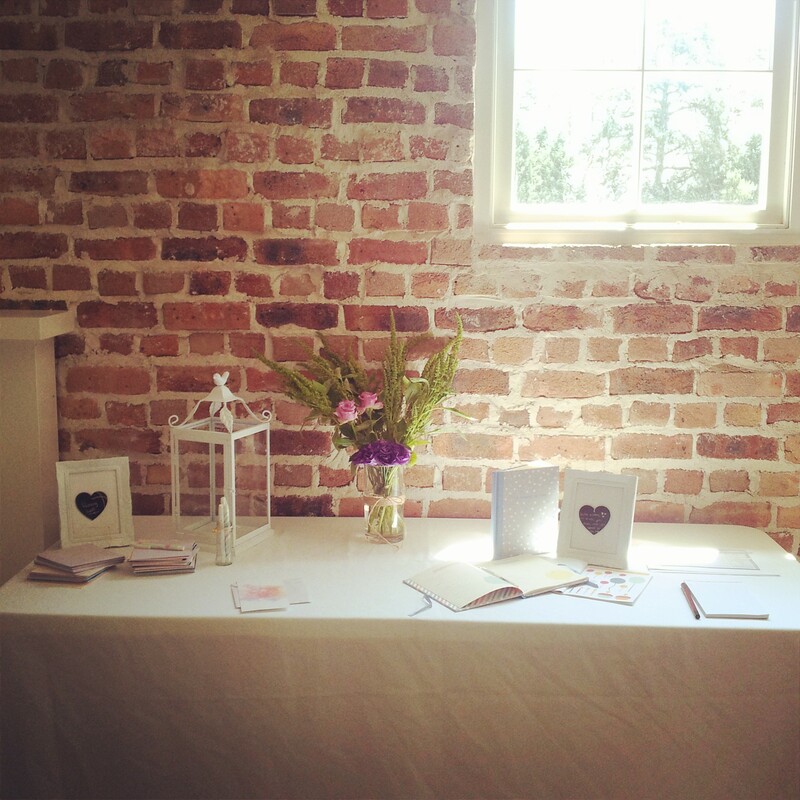 Flanked by antique ornate white frames with chalkboard instructional hearts this stark white table really popped out against the brickwork and old fireplace within the barn. Just to add a touch of colour, a beautiful bouquet of rich purples and greens was placed in the centre for contrast. It worked wonderfully and tied in well with the continuous theme amongst the reception.